Sharara is two legged skirt or you can call it Asian version of bell bottom with wide range of Bridal Shararas 2019, Wedding Sharara & Formal Shararas Dresses. It\\\'s not only trends that have become global; fashion in general has become more accessible, with designers showcasing their creations all over the world. Local fashionistas are treated to a variety of designs and style options to choose from. 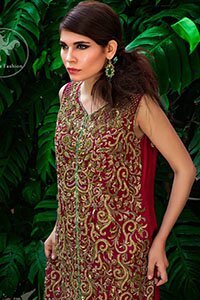 Sharara is two legged skirt or you can call it Asian version of bell bottom that is always loved by girls, they love to wear it on their Wedding, Mehndi, Mayon, Henna, Reception, First Day of Wedding, Walima and Special Occasion. 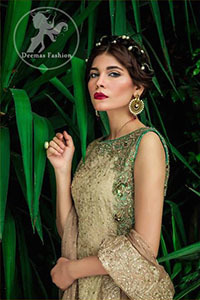 Sharara was in fashion even 2-3 decade ago and still it’s a must wear for at least a day of Special Occasion. Its trend had been originated through era of nawab. Sharara with Short shirt is quite famous these days. 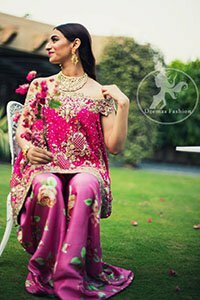 The wedding is the day when everyone wants to look perfect and pretty, and they love to follow their rituals, traditions and cultural norms, so dressing is also one of them. 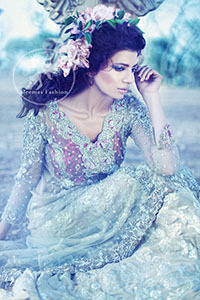 The Pakistani Fashion keeps on changing and also reviving old trends back.